E-commerce means that more people are receiving more boxes at their home each year, for better and for worse. 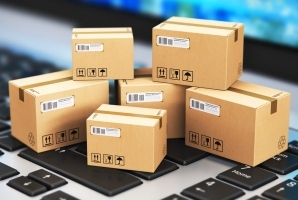 Corrugated and paperboard box demand in the e-commerce market is forecast to increase more than 12% annually to $1.8 billion in 2022. March 25, 2019 (Press Release) - "Brown is the future," said Rick Strick, a career paper millworker, whose father and grandfather had also worked in the same mill. He's right. While pure and white glossy paper used for advertising and other printed materials has suffered in the digital era, brown paper used for corrugated board, boxes, and protective packaging is seeing a resurgence in US mills as outlined in a recent article from the New York Times. The Freedonia Group is in the midst of a research series addressing new trends in the corrugated industry, with fresh reports out analyzing the US markets for corrugated and paperboard boxes, retail-ready packaging, and rigid bulk packaging; a pending report on global e-commerce; and upcoming research on the global industries for food e-commerce, boxes, and e-commerce packaging. Freedonia's goal is to determine the impact of increasing e-commerce activity and sustainability trends on the demand for boxes and related packaging worldwide, while discussing opportunities and growth areas for paper companies. Two factors are causing major shifts in brown paper industries: e-commerce and China. The trend of unboxing videos and Instagram posts of subscription deliveries has led to opportunities for value-added features such as premium graphics (particularly on the inside of the box), die-cuts, and specialty coatings. Jennifer Mapes-Christ, Freedonia's Consumer & Commercial Group Manager, commented "Customers are looking for an experience as well. E-commerce packaging must do more than withstand the rigors of transport; it must increasingly create a memorable first impression as well." China's role in all this is multilayered. For instance, the country is not only a source for goods shipped via e-commerce globally, but it was the largest global market for business-to-consumer e-commerce sales in 2018. Mapes-Christ noted "China is a huge market for e-commerce retail activity. With factors such as a large and expanding middle class, widespread use of mobile payment platforms, and a taste for international brands and luxury goods not always easy to get locally, China will account for nearly half of global e-commerce retail gains through 2023." This will require a lot of boxes and protective paper packaging. Additionally, China's January 2018 move to stop accepting most imports of material intended for recycling, including used corrugated board from the US, has affected the US brown paper industry. Although this has been a major disruption for municipal and private recycling programs across the US, this glut of corrugated board scrap has allowed American mills to buy used board for 70 percent less than they could before this change. This trend contributed to companies such as Midwest Paper Group, and China-based Shanying International and Nine Dragons Paper, repurposing US paper mill operations, and even reopening shuttered mills. Excess packaging is something for which more e-commerce and packaged consumer good firms are seeking solutions. According to Freedonia Packaging Analyst Chad Henry, "In response to consumer frustration and environmental concerns, Amazon and other e-commerce retailers are now firmly focusing on two key factors: dimensional weight and cube efficiency. The packaging needs to be just enough to get the delivery safely into the consumer's hands; any more than that and it becomes a headache for the customer." One way retailers and e-commerce fulfillment firms achieve that is via systems that allow them to create a box that is only as big as is needed for a particular delivery. Packaging analyst Mike Richardson pointed out, "Box-on-demand systems are staking a claim to some of the market — offering 'full process' cost savings despite higher costs per square meter of board."